KUWAIT - 8/08/2018: Kuwait Airways yesterday launched its new Terminal Four (T4) in a flight to Bahrain. The flight marked the official operation of T4, which would be fully operational by end of August. The flight carried a high-level Kuwaiti delegation featuring ministers and media representatives, who met with Bahrain's prime minister Prince Khalifa bin Salman Al Khalifa. T4, inaugurated by His Highness the Amir Sheikh Sabah Al-Ahmad Al-Jaber Al-Sabah on July 4, is part of the Directorate General of Civil Aviation's (DGCA) strategy to transform Kuwait into a commercial and financial hub in line with the 2035 vision. The $173.2 million new terminal consists of state-of-art technology and internationally-approved security system. Kuwait Airways had said T4 would be fully dedicated for the national carrier thus reduce the pressure on Terminal One (T1). It said its 25-plane fleet would be using T4 to transport 4.6 million passengers by the end of this year. 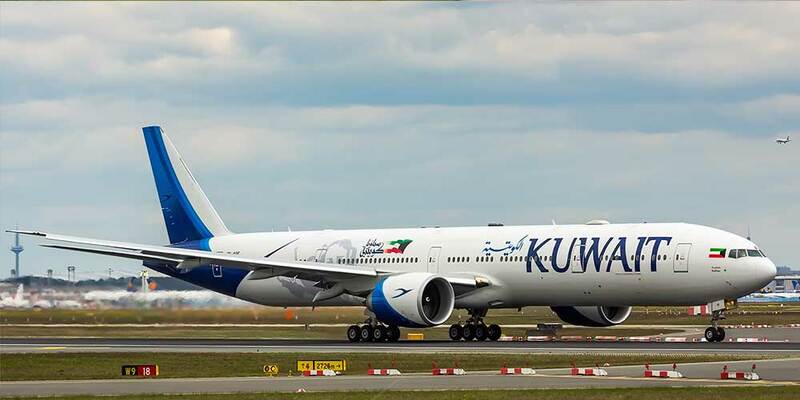 Kuwait Airways will be operating 33,600 flights every year to 43 cities in 26 countries. The 55,000-square-meter T4 includes 14 gates for departure and 10 for arrivals.